Since the UMK Festival has been introduced it has encouraged a lot of Finnish songwriters and singers to participate in this new show format. The aim is to produce music from Finland finding new talents and pushing the Finnish music industry. It has replaced the former national final show by the Finnish broadcaster YLE. This year will be a very special one for Finland in the ESC. 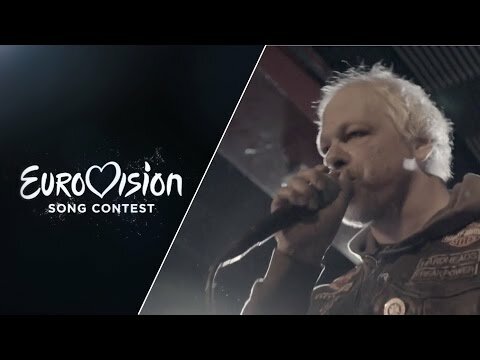 It’s the first time that a mentally handicapped band will be participating in the Eurovision Song Contest. There have been several blind singers in the past. The band Pertti Kurikan Nimipäivät (PKN) has convinced the Finnish TV viewers. There have been a lot of controversy discussions if handicapped performers will have equal chances in a contest like the ESC. Have they been more elected because of sympathy reasons instead of their music? For the millions of TV viewers there will be the question coming how to judge such an entry and being politically correct. If this band would have a pleasant song, those discussions won’t be that dramatic. The four band members are Pertti Kurikka, Kari Aalto, Sami Helle und Toni Välitalo. All of them do have a mental handicap. They have become popular through an international documentary movie called “The Punk Syndrome”. They are very well known in Finland and their concerts should be legendary. The Finnish entry “Aina mun pitää” is a special composition which is only 1:40 minutes long. A song in Eurovision is not allowed to be longer than 3 minutes, but this is the shortest ESC entry ever. This song is about a guy’s daily things he has to do. It’s a hard rock song, but the hardest thing at this entry is to find the melody. The song is a matter of taste of course, but the band will have the highest respect to compete in the ESC. It will be the 49th Finnish entry at this year’s Eurovision Song Contest in Vienna. Over the years Finland’s reputation in regards of success has suffered. Even if Finland has send songs of outrageous quality the points did not flow as for other countries. Three times Finland received not even a single point. Maybe this was due to the language issue or it has just been the wrong choice of the Finnish entries for Eurovision. After all the years of waiting the hard rock band Lordi came with “Hard Rock Hallelujah” in 2006 and Finland had its first fulminate and very well deserved victory in history. The entire country was in Lordi-fever and a long-cherished wish came true. Not to forget that there were some cool songs like: “Fantasiaa” by Ami Aspelund in 1983 (11th), “Sata Salamaa” by Vicky Rosti in 1987 (15th) and “Pump Pump” by Fredi and the Friends in 1976 (11th). At least Finland is often passing the Semi Finals lately, seven times out of eleven Finland has made it into the Grand Final with the utmost different songs from hard rock to ballad and pop.